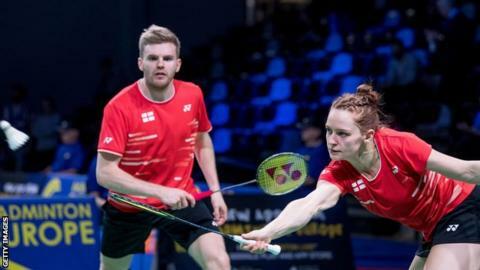 England were knocked out of the European Mixed Team Badminton Championships in the group stage for the first time in 15 years. They lost 3-2 to Germany despite Marcus Ellis and Lauren Smith giving England the early lead in Copenhagen, Denmark. England had lost 3-2 to Russia but beat Ireland 5-0 on Thursday. It is the first time England have not won a medal at the biennial event since 2004, having claimed bronze at the last edition in 2017. Germany will play Russia in the semi-finals, while defending champions Denmark will play France or the Netherlands. Denmark have won the tournament on 16 occasions while England have won it five times, most recently in 1984.